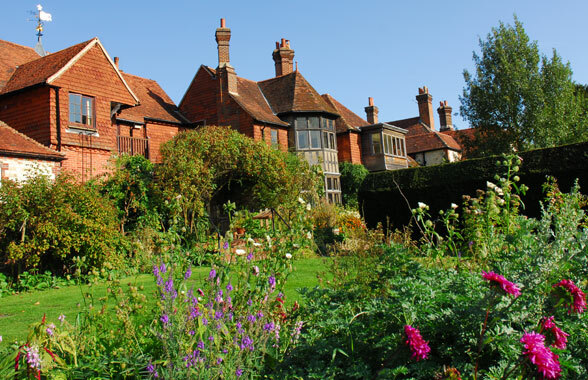 The village of Selborne and Gilbert White’s House are well worth a visit for the day and offer a hidden treasure in the beautiful Hampshire countryside. The village itself is small but quaint and features St Mary’s Church, a lovely gallery, village hall, post office and shop and two pubs. For the keen walker, the Hangers Way crosses right through the village and offers a good starting point for the walk or a good stopping point for refreshments and a break if you are on your way through. Limited free parking is available in the main high street or in the village car park which is located behind The Selborne Arms although it can get busy at times. Despite many changes over the years, the village of Selborne is almost as it was in Gilbert White’s time and you can still see Selborne Hanger, the Common, the Plestor (the original name for the village green), the hollow lanes and the two streams. Selborne is located between the A3 and the A31 on the B3006, approximately 5 miles southeast of Alton in Hampshire. Located in the centre of the village, Gilbert White’s House is well worth a visit and features beautiful gardens and trails at the rear. Entry is free for the elegantly restored tea room within the house which offers hot drinks, light lunches, alcoholic beverages and homemade cakes.You can also go into the shop for free so pop in if you are just passing by. It offers a nice range of gifts, books and toys for all ages plus a specialised section on Gilbert White, Selborne and the Oates family.The village of Selborne was once the home of Gilbert White (1720 – 1793), the 18th century author and naturalist who wrote ‘The Natural History of Selborne’. The house originally belonged to his family and Gilbert lived there for most of his life. The house includes original portraits, furniture and embroidered bed hangings together with the original manuscript of ‘The Natural History and Antiquities of Selborne’, Gilbert’s famous book. The 20 acre garden and parklands are beautiful and have been restored to how they would have been. Housed within Gilbert White’s House is The Oates Museum, an exhibit and gallery focusing on the lives and adventures of Captain Lawrence Oates who travelled to the South Pole with Scott in 1911 and his uncle, Frank Oates, who was a remarkable Victorian explorer.ve been in the 18th century and during Gilbert’s life. The perfect place to sit and relax! The Hangers Way is a 21 mile long distance walking route that runs from Alton Railway Station to The Queen Elizabeth Country Park near Petersfield in Hampshire. The routes have been divided into 8 sections and offer the chance to walk up steep hills with wonderful views or stroll through quiet country villages. The route passes right through the village of Selborne. Full details and maps can be found on the Hantsweb Link.